In recent years, the Federal Highway Administration (FHWA) has led research efforts and produced publications related to congestion identification, diagnosis, and mitigation. Through these efforts, FHWA has found that a large percentage of traffic congestion results from recurring causes, including bottlenecks. Due to rising costs related to congestion, it is important to diagnose and identify cost-effective bottleneck solutions; however, the current body of knowledge surrounding traffic congestion is dated and in need of updating and revision. Some recurring congestion occurs at specific locations on the highway system, where periodic volume surges coupled with roadway geometrics overwhelm the physical capacity of roadway segments, creating traffic bottlenecks. Transportation agencies have observed that traffic bottlenecks can be alleviated using low-cost and cost-effective solutions, resulting in a better benefit-cost ratio than more expensive infrastructure investments. Therefore, research and analysis efforts toward developing and evaluating low-cost and cost-effective traffic bottleneck solutions are promising. The existing research does not clearly separate causes of recurring congestion into categories needed to identify causalities. 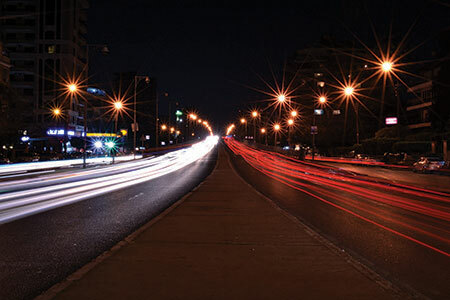 This project aims to provide guidance on the characteristics of congestion and bottlenecks that occur on a facility level; to investigate existing innovative and cost-effective solutions to bottlenecks; and to disseminate information to researchers and practitioners for practical use in combating traffic congestion and bottlenecks. 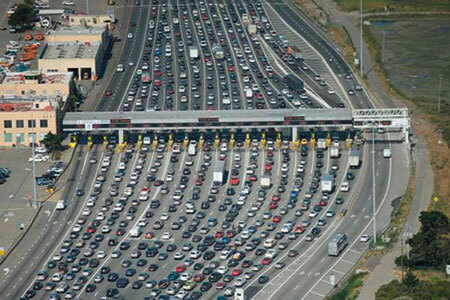 Develop a prototype application for agencies to identify congestion. Explore and refine a “Causes of Congestion” pie chart. Disaggregate recurring congestion into localized and systemic. Disaggregate recurring congestion occurring on freeways and surface streets. Provide technical guidance for congestion and bottleneck identification, diagnosis, classification, and applied solutions. Develop innovative and cost-effective solutions for bottleneck problems (permanently installed and dynamically triggered). Develop examples of cost-benefit analysis techniques using the Tool for Operations Benefit/Cost (TOPS-BC). Provide examples of techniques to prioritize bottlenecks. Develop workshop materials and research papers. Task 1: Project Management and Work Plan – The research team will conduct a kickoff meeting, build a focus or advisory group, develop the work plan, and provide continuous project management throughout the duration of the project. Task 2: Synthesis of Research and Findings – The research team will perform a literature review of relevant studies on recurring congestion, bottleneck studies in particular. The team will identify limitations and gaps in the current methodologies for congestion problem identification, diagnosis, and analysis; and will further identify possible unique styles of congestion diagnosis and analysis procedures nationwide. Next, they will develop a taxonomy scheme for bottlenecks and corresponding solutions. Task 3: Problem Identification and Classification– The research team will measure the sources of congestion and adjust or confirm the existing “Causes of Congestion” pie chart. The team will identify metropolitan planning organizations (MPOs) to provide archived and real-time traffic datasets for analysis and will disaggregate recurring congestion and will define and classify bottlenecks based on that data. Next, the team will propose solutions for bottlenecks and provide guidelines to regional and local agencies on recurring congestion analysis with a special focus on bottlenecks. Task 4: Solutions for Typical Bottleneck Problems – The research team will perform traffic simulation of bottleneck solutions; perform benefit-cost analysis to determine cost-effective bottleneck solutions; develop guidelines for agencies with current bottleneck programs; prepare a research paper based on the findings of Tasks 2 and 3; develop workshop materials; and conduct three workshops on bottleneck diagnostics and cost-effective solutions. Cost-effective solutions to alleviate or eliminate congestion due to bottlenecks (permanently installed). Task 6: Conduct Research for Selected Cost-Effective and Innovative Bottleneck Solutions – In Task 6, the research team will further develop selected innovative, cost-effective bottleneck solutions with the highest potential congestion relief impact. Inform – Provide effective marketing and outreach material outlining ongoing congestion and bottleneck research. Educate – Provide new and existing information on congestion and bottlenecks to State and local agencies and transportation professionals. Interact – Generate effective outreach efforts to allow practitioners and researchers opportunities to interact and discuss problems and solutions surrounding congestion and bottelenecks. Influence – Create opportunities for diverse groups to influence development of new and innovative solutions to reduce congestion and bottlenecks. Collaborate – Provide a platform for collaboration among various groups with an interest in reducing congestion and bottlenecks through cost-effective solutions. Partner – Work with various agencies and individuals to identify diverse solutions to congestion and bottlenecks.